Hellooo – and happy Wednesday! I’m getting a bit obsessed with Smith & Caughey’s Queen St store at the moment, and have taken to spending an inordinate amount of time fossicking around on the first floor – that’s where all the food, kitchenware and fancy dinner plates are. 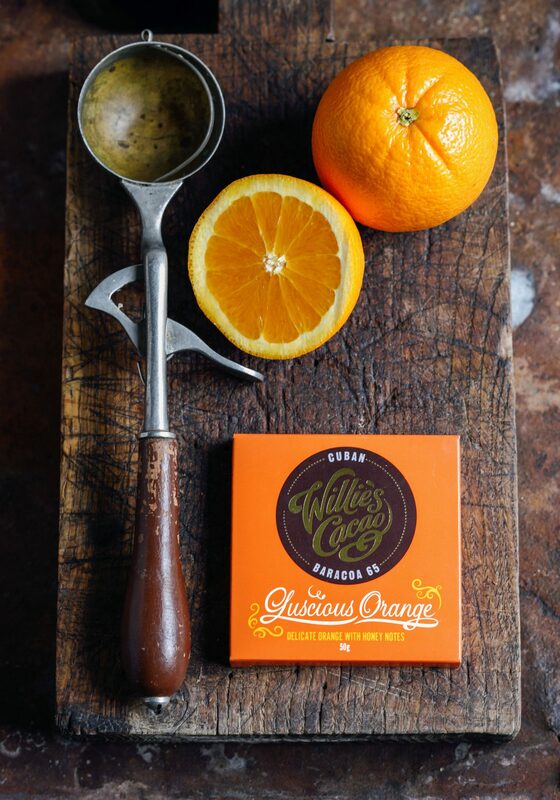 Last week I popped back and found some incredible Willie’s Cacao chocolate (famous for their ‘bean to bar’ philosophy) for this month’s collaboration. As you can imagine, I was literally like a kid in a candy shop, surrounded by the most luscious, luxury food items! When I have a couple of friends over for dinner, even if it is a super casual, last minute affair, I still like to be able to offer something naughty for dessert. This is one of my go-to solutions using a quick, rich, dark chocolate sauce which I pour generously over vanilla bean ice cream. I realise that this sounds almost too simple – but the key is in the quality of the ingredients which elevate the every-day to the extraordinary. 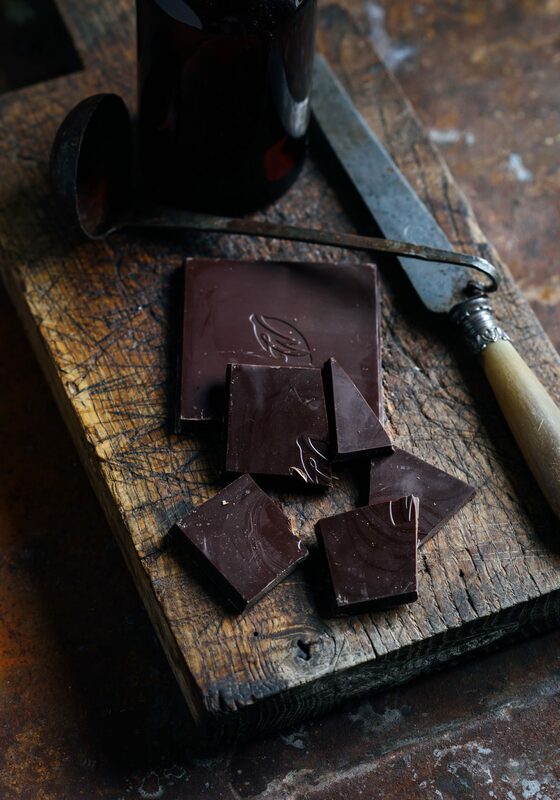 In this instance the chocolate is 100% natural and pure, using raw sugar cane, unrefined cocoa butter and organic fruit essences so the result isn’t sweet and cloying – rather it is rich, elegant and intense. Today I have used Willie’s Cacao Luscious Orange version made with chocolate from the eastern tip of Cuba (which you can find at the Smith & Caughey’s website here) to create an intensely flavoured chocolate sauce – given a complementary hit of orange zest and runny honey then a little fiery kick with a pinch of chilli. Paired with cool creamy ice cream and lightly toasted flaked almonds it is ridiculously pleasing. If I have a bit more time, I will often soften the ice cream a little then pour cooled sauce and a sprinkling of nuts directly into pockets I make in the ice cream with the back of a spoon. Then I just swirl it together, prettify with a few more nuts and re-freeze. I serve it with a little more sauce to finish…bloody delicious! 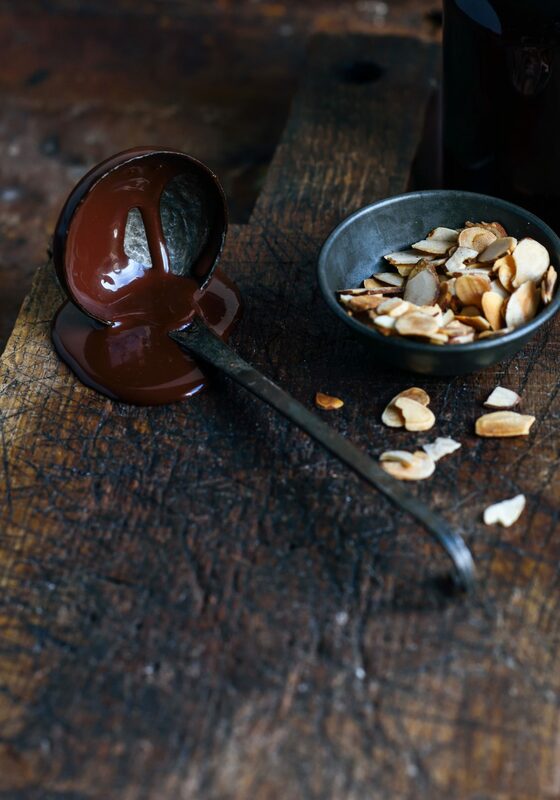 There are also loads of other flavour combinations you can play with for this sauce – for example Willie’s Cacao Rio Caribe Gold from Venezuela with a shot of ristretto coffee, or Los Llanos Gold from Colombia sauce served with ice cream and flash-roasted plums. Aaaand what else? I expected to feel totally bereft after Henry left, and although I did, and miss him terribly after his visit – I still feel invigorated by his stay. Any time I spend with my darling men/boys leaves me feeling so much lighter and happier, so yup I expect the the buzz to be lingering for a wee while yet. Since heading off he has been in touch every day, keeping me updated with his adventures as they happen. After arriving in Rome as fresh as can be expected after 24 hours of travel he spent several days roaming the city (walking up to 33km in one day! ), checking out the sites and sampling local fare such as the famous Roman fried artichokes. He found some of the local restaurant staff fairly abrupt and unaccommodating (big cities – watcha gonna do? ), but was surprised at how many of the sights he managed to cover off in just a few days. Yesterday he arrived in the outrageously picturesque town of Ostuni where he will be helping out a family who are converting their olive grove to a productive farm. I am keeping my fingers crossed for him that the experience turns out to be everything he hoped for, and yet somehow the very nature of travel is that the unexpected happens, and those are often the things which make the trip more memorable. Meanwhile dear old Hoob is still plugging away in Welly. He had his first basketball team trial the other night, and even though he gave it everything he’s got is still unsure whether he made it through (so two lots of crossed fingers from me then!). As always I love hearing about his flat antics, which are decidedly varied with everything from ‘at home’ gigs (band members living on site and the drum kit permanently set up in the kitchen) to flat movie nights (last week to see Isle of Dogs) followed by Rich whipping up a pad thai. It is so cool that they all take turns cooking and generally eat together 6 nights out of 7, and when Rich is on duty that means vegetarian for dinner. Haha that reminds me I was checking out restaurants in Croatia last week, in anticipation of our upcoming trip – with both Pog and Hoob being vego I feel quite a bit more research might be required! And me? I have puddled along to a couple of comedy festival gigs, had a beautiful (as always) dinner at Barhulo in Parnell, and have been flat out catching up on all of the work I set to one side during Henry’s visit. Speaking of which…much to do, back to it, and I’ll see you here again soon. Chop the chocolate into chunks. Combine the cream, orange zest, honey and chilli powder in a pot or microwave-proof jug. Heat on the stove or in bursts in the microwave until just simmering. Drop in the chocolate and leave to sit for one minute. Whisk until smooth. 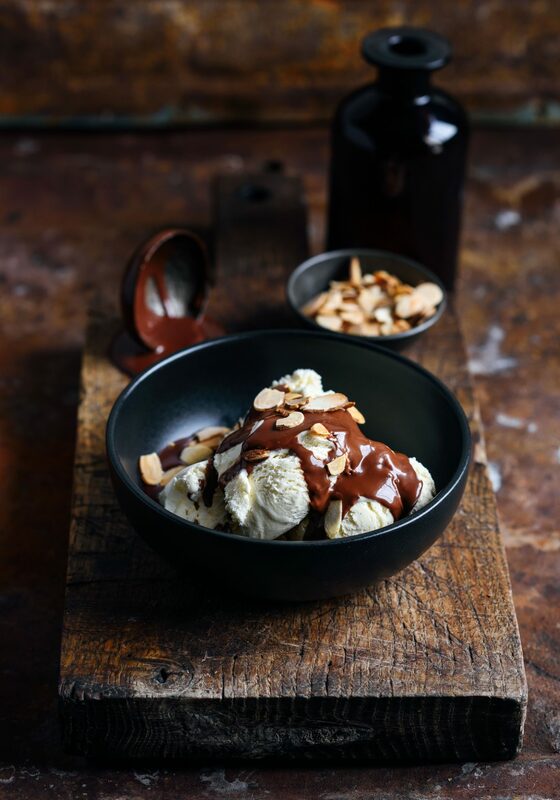 Serve ice cream slathered in chocolate sauce and with a sprinkling of almonds.